An informal show on favorite, fascinating, or funny words and phrases used in various engineering disciplines. 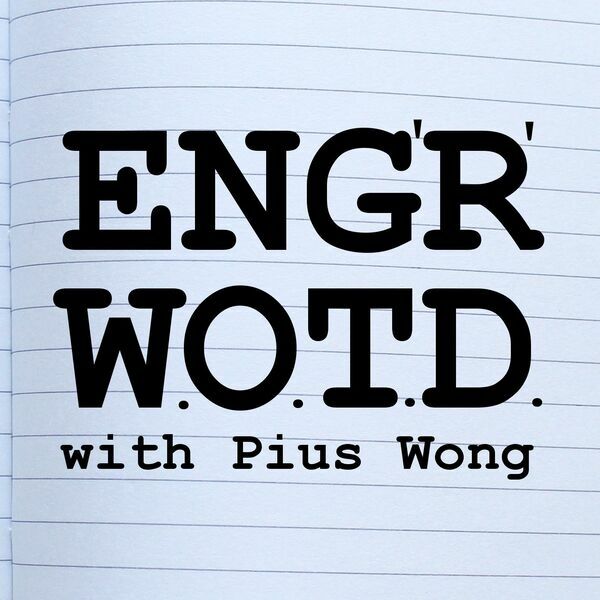 Hosted by interdisciplinary engineer Pius Wong, also host of The K12 Engineering Education Podcast. Produced by Pios Labs. Support the podcast by donating to Pius's studio on Patreon: www.patreon.com/pioslabs. All content © 2019 Engineering Word Of The Day. Interested in podcasting? Learn how you can start a podcast with Buzzsprout. Podcast hosting by Buzzsprout.